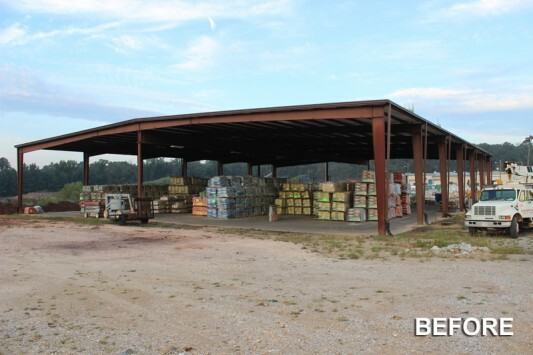 Scott’s miracle gro in vance, AL had an existing open air building that they wanted to extend by 25′ and enclose. 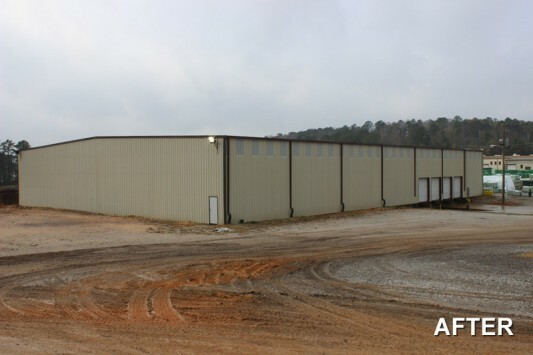 We provided and installed secondary framing, insulation, sheeting, and wall lights to enclose the existing building. We also added one 25′ bay.